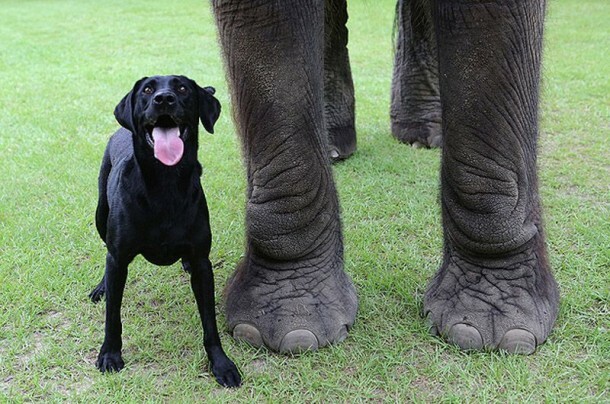 This is not the “Elephant and Pug” – are all in a serious way. No one at no barking, no one disputes, quarrels and no irritation. 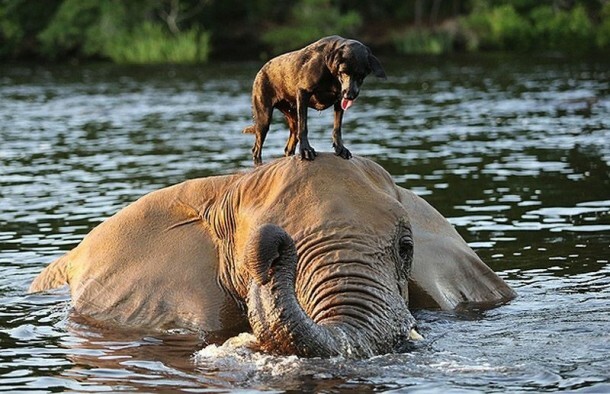 Only friendship, a sense of light and positive sea. 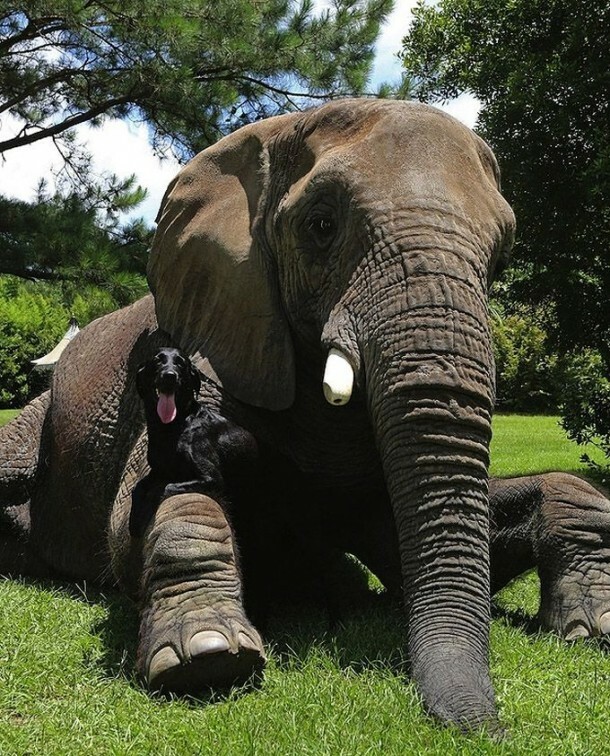 Strange but true: the black dog and a huge elephant became best friends. 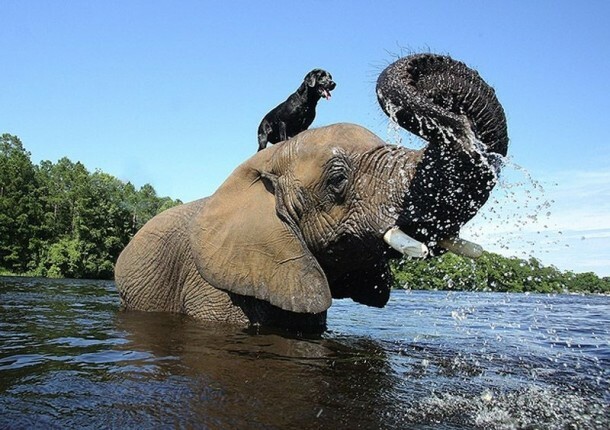 They walk together, play together, bath together, together dry off, and do not spill water. 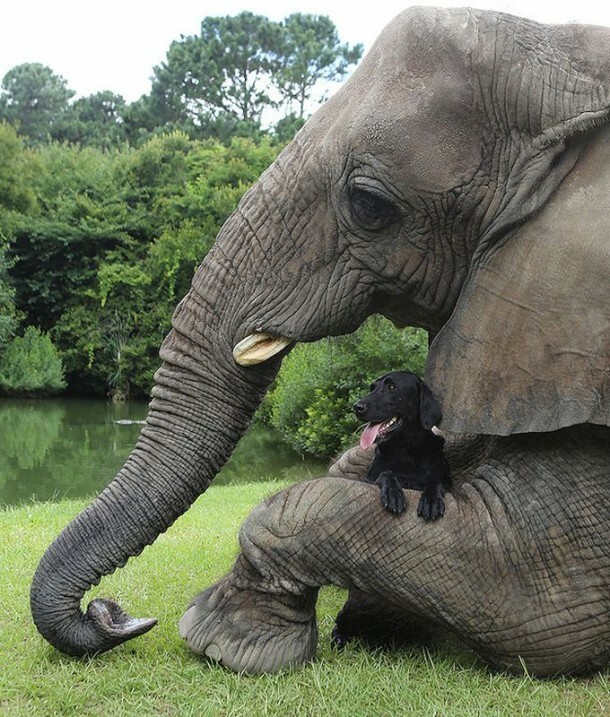 That’s such an unusual, but sincere friendship! I Wish best friendship always be like them..
1. 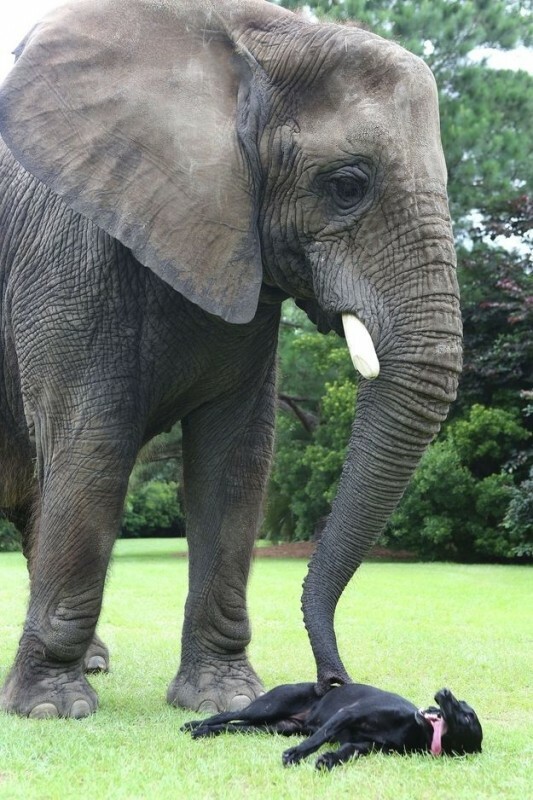 Incidentally, the elephant is a very useful one. It is possible to drive. 2. And he can get a massage. 3. 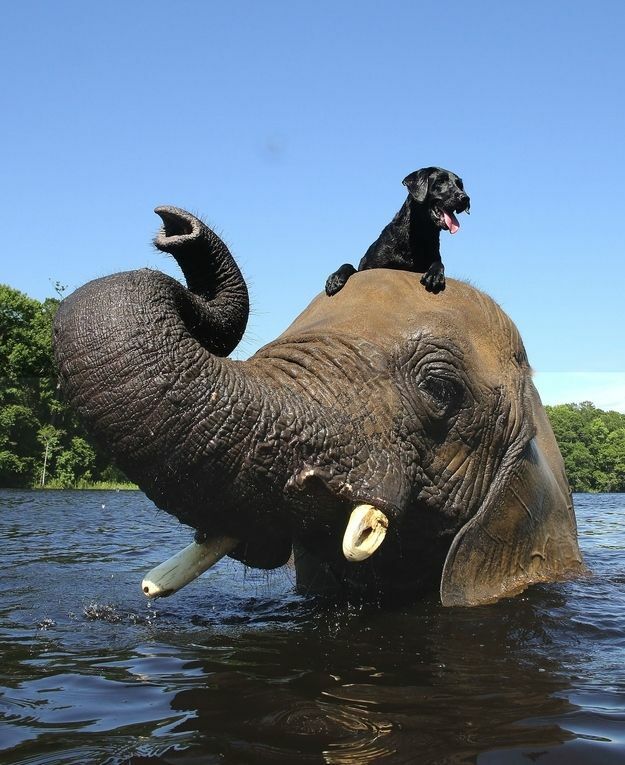 Arrange a tour of the river. 4. A dog can be a sentry. 5. 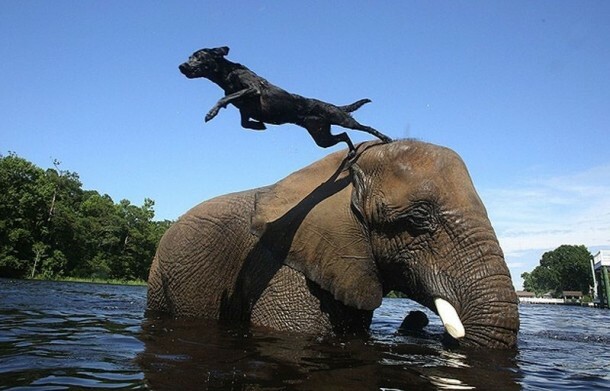 And then use the elephant as a personal springboard. 6. 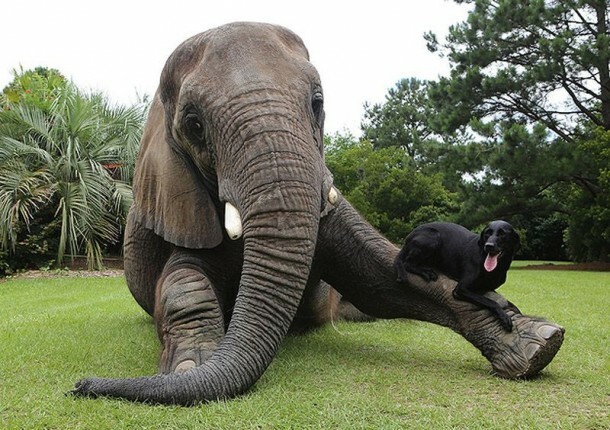 And the size of this friendship is not an obstacle! 7. At the end of an active day, you can sit in the arms and watch TV. 9. And let everyone else jealous!